Turmeric on Shivling is offered to achieve financial progress. It is performed when there is money related problems in life or family. 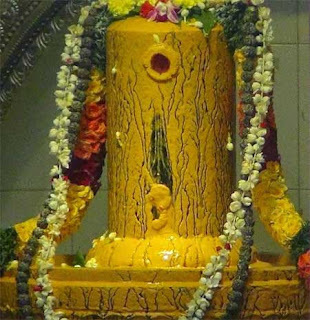 It is believed in some regions that offering turmeric on Shivling will help in solving all wealth related issues and there will be peace and prosperity in life. Turmeric is offered in two forms one in powdered and one in whole form. Turmeric powder – this is offered in two ways. One is to put the dry powder on Shivling. Some people mix turmeric in water and pour it on Shivling. Turmeric in Root Form – In some regions freshly harvested turmeric is offered to Shiva. In some regions, the dried form is offered. Seven pieces of turmeric – seven pieces are offered in Shiva temples to find solution to all finance related issues. How to offer Turmeric on Shivling? Take bath and visit a Shiva temple. If you have Shivling, you can perform the ritual on it. Then offer water on Shivling. Then put the turmeric and say your prayers. Next sit in a quiet place and chant 'Om Nama Shivaya' on a Rudraksha Mala. Feed a cow with bananas on the day.